I recently upgraded and reformatted my computer (now I've got an Intel quad-core with 6GB of RAM and a GeForce 9600GT). So, what's the first thing I did with this sweet gaming rig? Well, I installed Rise of Nations so Steve and I could play a few rounds. But the next thing I installed was Tropico! 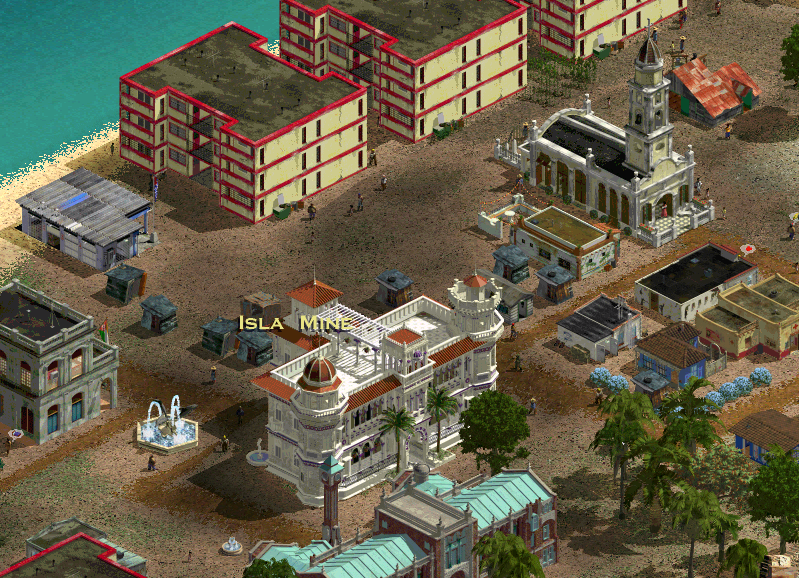 Ah, Tropico, where island paradises, city-building, and Communism meet. Before playing, I wanted to make sure I had the latest patch. So, I head over to Wikipedia (I use Wikipedia for everything) and learn that my Mucho Macho Edition came out after the last patch was released, sweet. But wait, what's this section down at the bottom of the article? Tropico 3!? This is great, this is amazing, this is... woah, the first excitement begins to wear off as I remember my disappointment with Tropico 2: Pirate Cove. Then comes this quote from developer Haemimont Games' website "The game will return to the roots of the series, putting the player into the shoes of 'El Presidente' - a dictator governing over an island banana republic." Yay! They also mention some stuff about state-of-the-art graphics and a multiplayer mode. To me, these are all just icing on the cake, or maybe the little umbrella in the piña colada. Tropico 3 is currently scheduled for a late 2009 release.